The county’s fourth-largest city, Beira is believed to be one of the worst affected, with Idai having completely cut off electricity supply and cellphone networks, and left water supply intermittent. IPSS Medical Rescue’s Paul Herbst has been posting updates of their rescue operations. “As more international rescue teams and resources continue to arrive in the region, rescue efforts are expanding and the impact being made is significant. This will also allow for some of the ‘first-boots’ on the ground to start to withdraw from the area, seeking much recuperation back home. “Many of the team members are both physically and mentally exhausted and operational decisions on whether to fly members out and back to their families, will be made during the course of the day. “Thank you for the ongoing support. We are still shocked by the extent of the devastation. 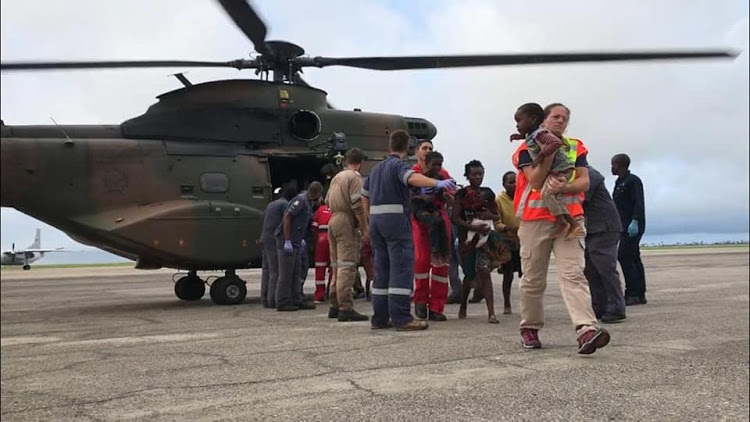 Mozambique needs all of the help it can get,” he wrote on the IPSS Medical Rescue Facebook page.